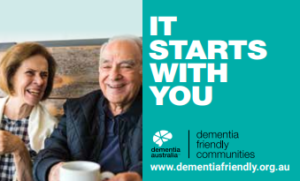 Making the world friendlier to people living with dementia is the goal of Dementia-friendly Communities, an Australian Government-funded program administered by Dementia Australia. More than 400,000 Australians already live with dementia and each week brings 1700 new diagnoses – so we all need to evolve alongside people experiencing dementia. Sue Kurrle, Curran Prof of Health Care of Older People, says “People with dementia tell us their biggest problems are lack of awareness of dementia in the community and the social isolation they face once diagnosed with dementia”. The keys to becoming dementia-friendly, says Carol Vickers, Program Manager, Dementia Friendly Communities, “are awareness, acceptance and understanding of what it’s like to live with dementia. And that’s what Dementia-friendly Communities and Dementia Friends programs are all about”. The starting point for better understanding for individuals, businesses or organisations, is for everyone to sign up as a Dementia Friend at www.dementiafriendly.org.au/ a where you can view a 15-minute awareness program. 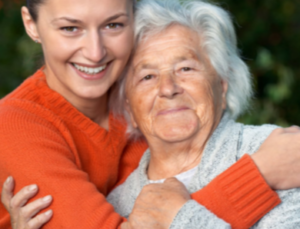 The next module deepens understanding and suggests ways to get involved in the Dementia-Friendly Communities program. This multilayered awareness program is being rolled out in Dementia Awareness Month, September, and offers individuals, groups and organisations ways to simply learn and increase their awareness, adjust a little or perhaps a lot by developing an action plan to become more dementia-friendly in corporate culture, staff training, facilities or other ways such as clearer signage. 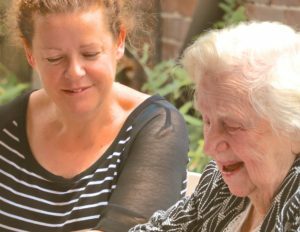 The Dementia Australia site also offers an interactive map for individuals and organisations wanting to connect productively with others nearby– and, in connecting, start a Dementia Friendly Community. “The map is a way of showing your connections, encouraging further like-minded connections and attracting the community of people living with dementia or caring for them,” says Carol. Organisations don’t have to provide dementia-specific services: it’s enough for staff or services to be aware and inclusive of people with dementia. “We know a clothing boutique that’s connected with its local dementia group; the boutique staff know about dementia and, if they think a customer might be experiencing dementia, they add a little extra encouragement and patience,” says Carol. At a further level, organisations wanting to be recognised by Dementia Australia and use its recognition symbol in marketing, can develop a plan for often simple changes that would make them more accessible to people with dementia. To help with action plans, Dementia Australia offers toolkits and a trove of resources. 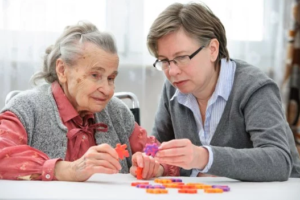 Dementia Australia is looking forward to the results of 21 projects it has funded for 2018-19 ranging from conversation cards to improve engagement to dementia-friendly activities and facilities.